Today's recipe is very easy & quick recipe. From kids to adults everyone loves Popcorns. Whether it is your favorite serial or your favorite movie on TV or favorite cartoon of the kids, Popcorns is our all time companion. However we all can get bored with our regular Popcorns recipe so today's recipe is a little twist to it. 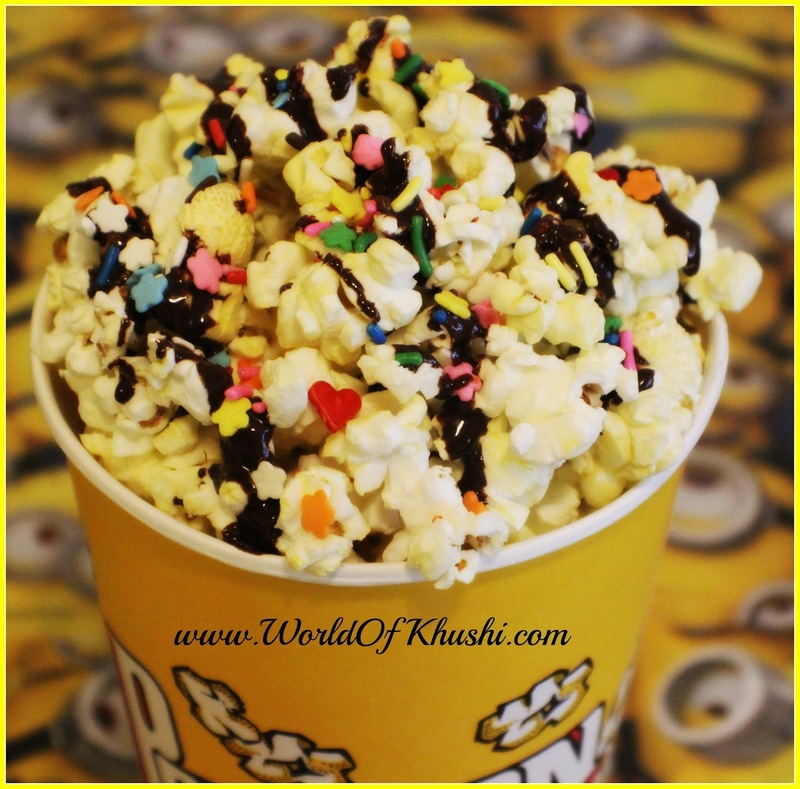 With just little additions to our normal Popcorn we can make it more delicious and specially Kids will surely love it. 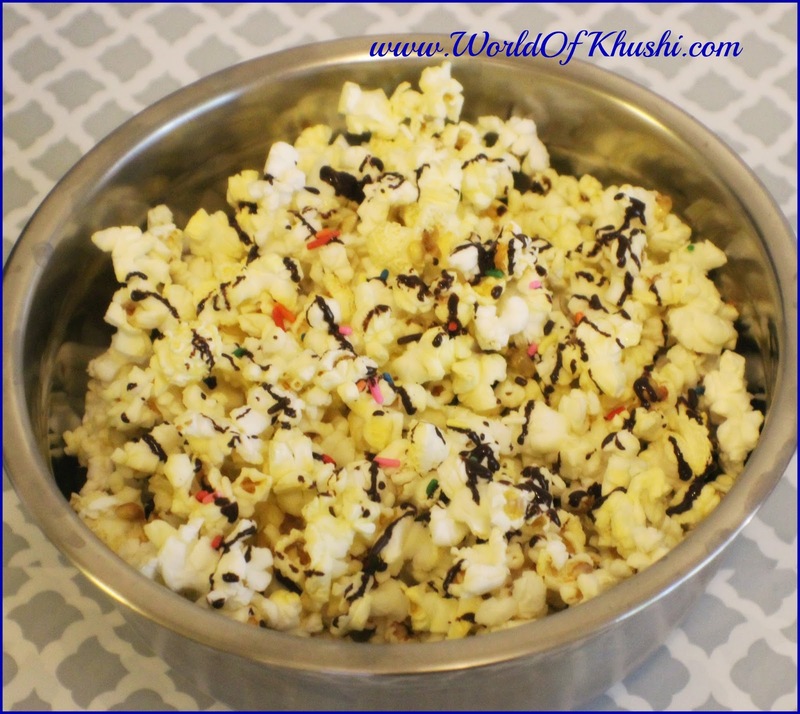 Lets begin our today's Recipe popularly known as Chocolate Popcorn. Step 1. Prepare Popcorn at home. (I used ready to cook in microwave pop-corns). Step 2. Take Chocolates and put them in the bowl. Melt it for 30 sec (time varies according to your microwave). Stir it with a spoon. Again melt it for 30 sec until the chocolate is melted completely. Step 3. Add this melted Chocolate on top of the Popcorn. Immediately garnish it with sprinkles. You can even add Candies, Marsh-mallows and Gems. Your Chocolate Popcorn is ready to eat!! 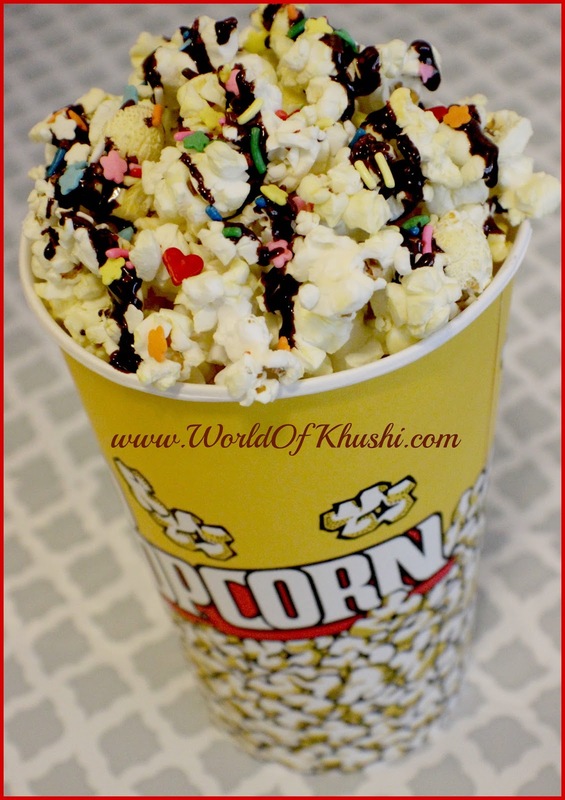 As everyone loves Chocolate so I guess you will definitely gonna love this Chocolate Pop-corn. I hope you and your kids like this recipe! It is very easy and kids loving recipe. 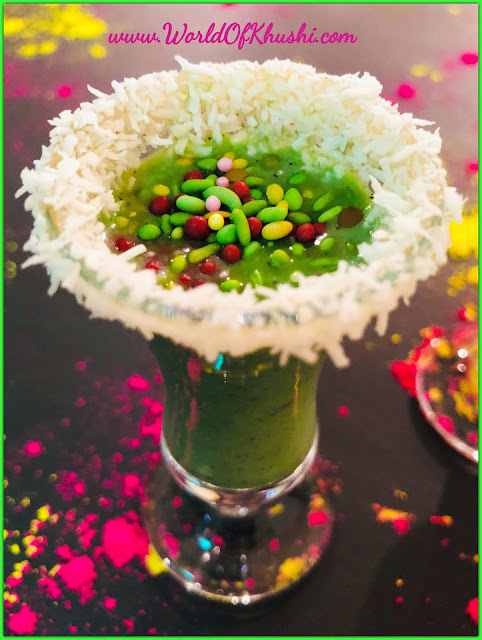 If you liked this Recipe do share it with your friends and family. Follow me on Khushi's World Facebook Page, Google+ , Instagram and Pinterest for more Posts. I will see you in next post till then take care.